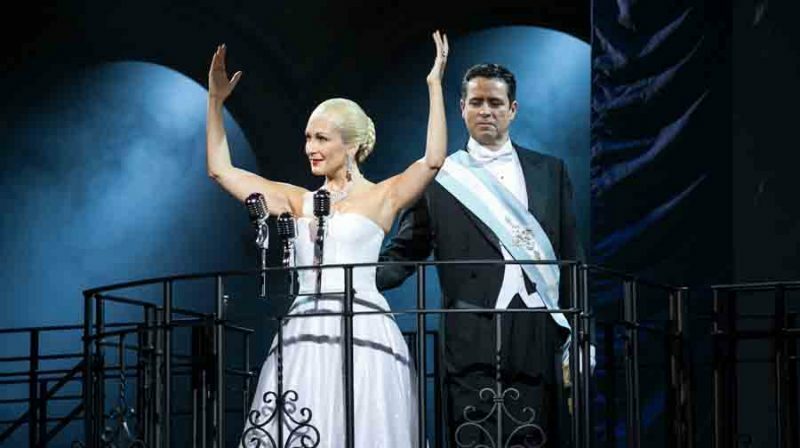 Andrew Lloyd Webber and Tim Rice's legendary multi-award-winning biomusical EVITA is preparing to receive a fresh new take on the classic story of Eva Peron's rise to power in Argentina later this year. Regent's Park Open Air Theatre in the UK has released a casting breakdown for the title role, reading as follows: "Appearance: Black. Other areas, black Caribbean, mixed race, African American." The process is still underway, and, as yet, no roles have been cast. Jamie Lloyd will helm the production, following hot on the heels of a supremely successful staging of another Andrew Lloyd Webber/Tim Rice stage piece, JESUS CHRIST SUPERSTAR, which was presented in 2016 and 2017, winning an Olivier Award for Best Musical Revival. The production is set to tour the United States later this year. The Regent's Park Open Air Theatre production is scheduled to run August 2 through September 21.